These learning spaces give freedom to the students to explore the world around them, build up inquisitiveness that develops creativity and independent thinking, making them self-reliant and self-confident. 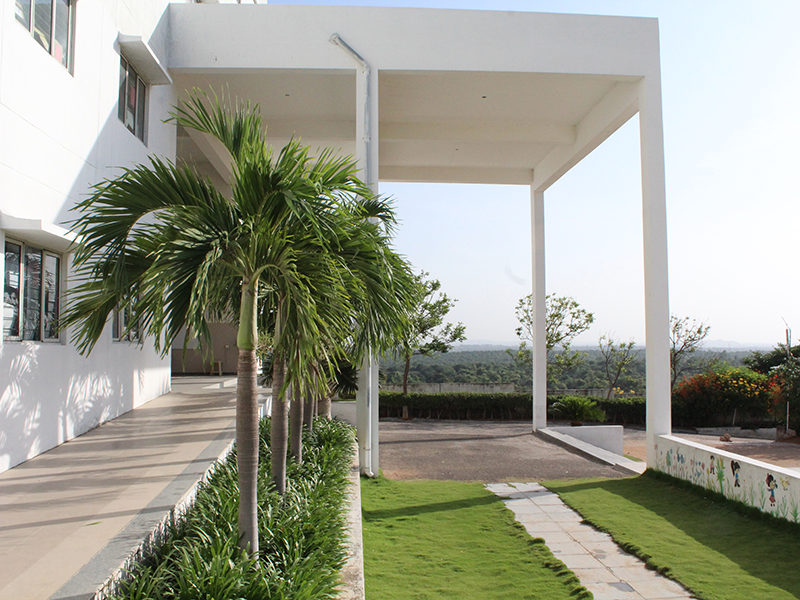 Set in a 4 acre serene atmosphere, away from pollution and hustle-bustle of the city and close to nature, Unicent campus at Nagole provides an environment that is conducive to healthy and holistic development of children. 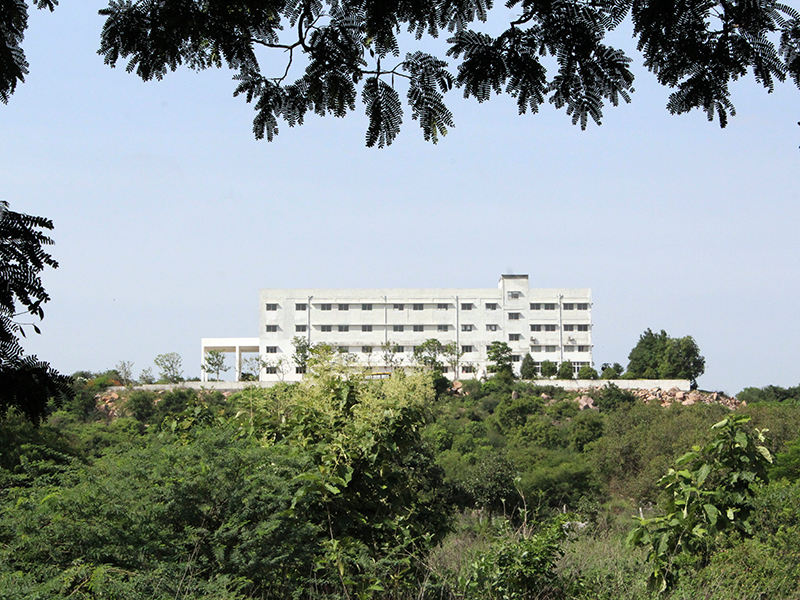 Located on a hillock, the campus has breathtaking views, is aesthetically designed with attractive landscaping, a beautiful portico, long open verandahs and several staircases. 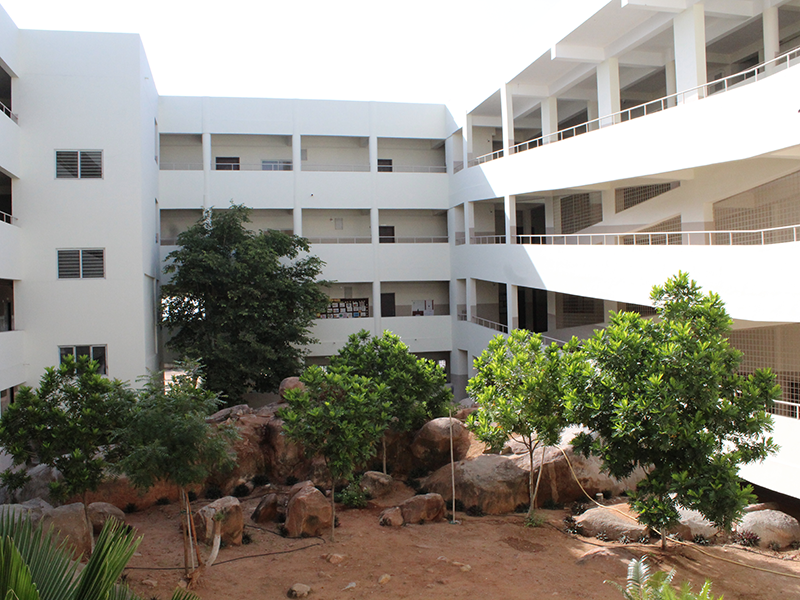 The building structure also provides for the needs and safety of growing children. 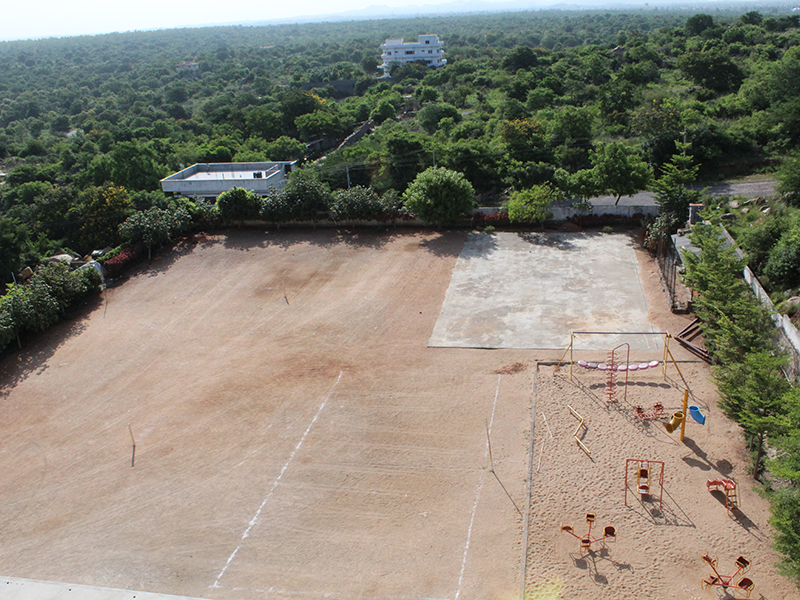 A large play ground with facilities for basket ball, kho-kho, cricket, athletics, separate play area for preschoolers, etc ensure that the children’s needs for physical activities are met. 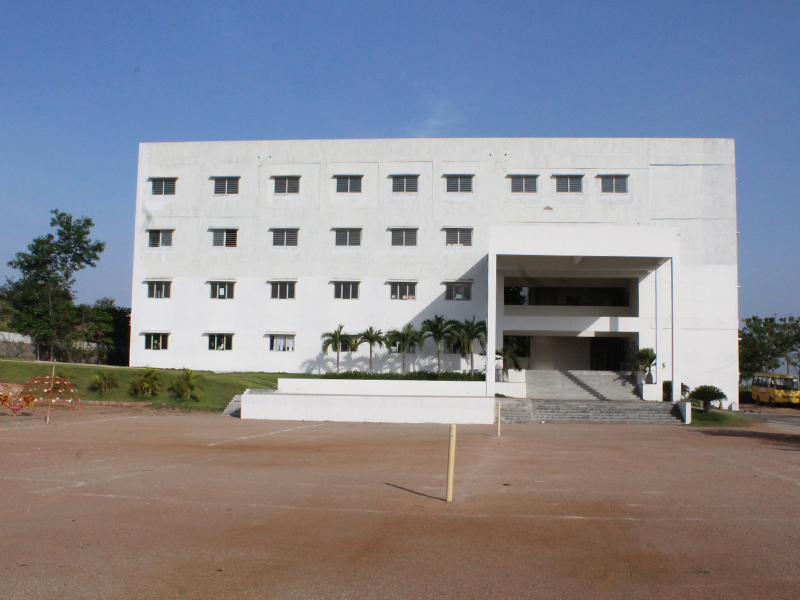 A spacious building with large, well-ventilated class rooms, and separate rooms earmarked for laboratories (Computers, Science, Social and Math), the school ensures that knowledge is turned into wisdom, not just through the facilitation by the teachers but also through the setting and ambiance. 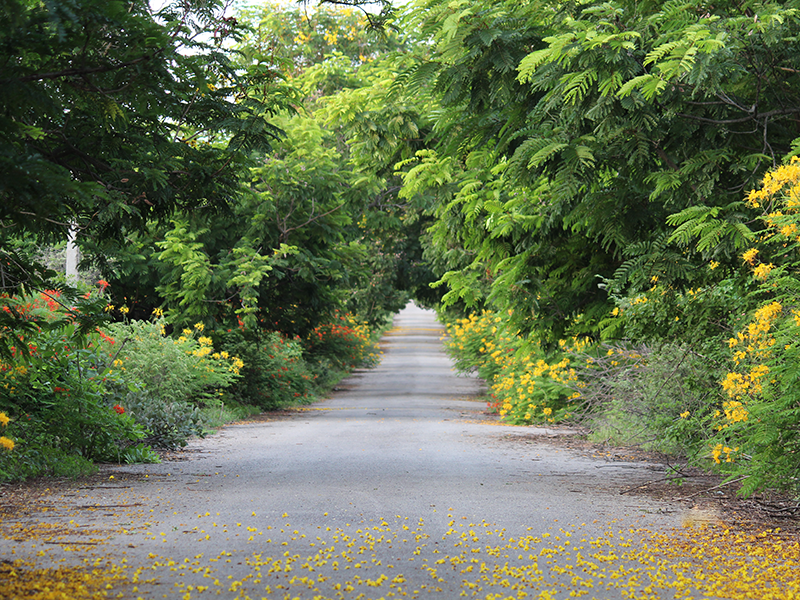 The campus also provides scope for activities like nature walk, bird watching, adventure sports, trekking, treasure hunt and so on.